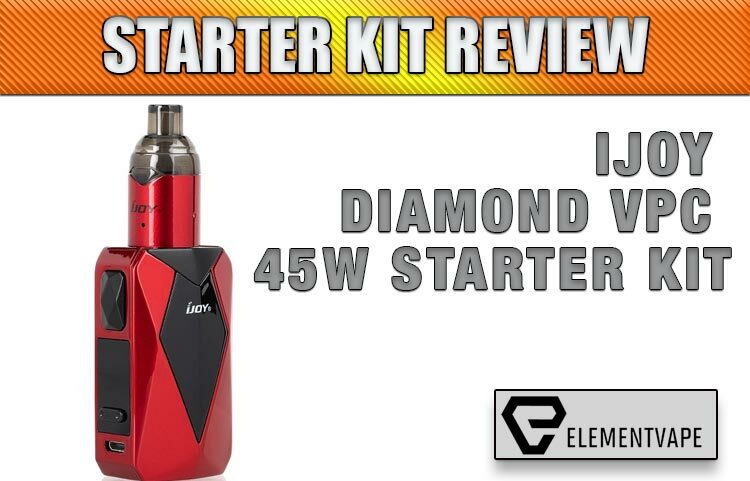 iJOY Diamond VPC Kit Review – It was only a matter of time. 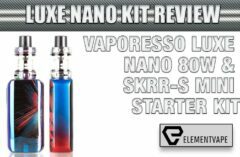 Advanced vape devices and pod mods – the proverbial peanut butter and jelly of the vaping world – have begun to cross-breed. 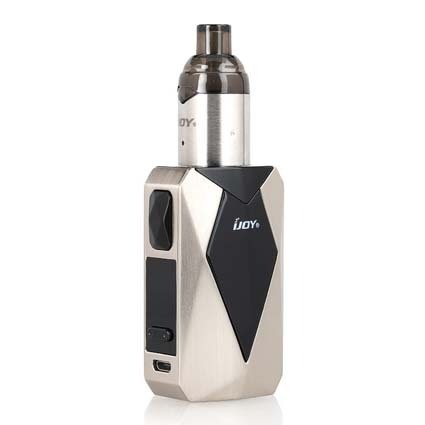 And the iJOY Diamond VPC Kit is the best example of this evolution yet. 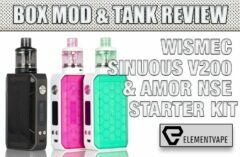 With an extremely compact form factor, the kit includes the adjustable 1,400mAh Diamond Bae Box Mod, which brings 45W of maximum power to the table. This is paired with the VPC Unipod, that comes stock with a 1.0-ohm ceramic coil and 2mL maximum capacity. The internal battery is designed for smooth-ramping power. The iJoy Unipod adapter is particularly interesting, with a 510 connection that grants it the ability to be used interchangeably with other standard box mods, and a side refill system that allows for filling of most e-liquid types. But the real hook is the adapter that lets the device also use many of today’s most popular (read: JUUL) pre-filled pod cartridges. The goal? One device, for myriad uses. Let’s see how it stacks up. If you’re familiar with the extensive iJOY Diamond series mods, you have a pretty good idea of what to expect. Albeit in a much, MUCH smaller package. So small, in fact, that the Diamond Bae (yes, that’s the name) mod includes an attached lanyard system to attach to a belt. I tried it, and other than some swinging when walking, I almost forgot this diminutive device was on my hip. Keep the lanyard handy, since there’s a really good chance you’re gonna lose it. I accidentally dropped mine into a pile of spare parts and it took me a lot longer to find than you’d imagine. Aside from dimensions, the Diamond aesthetic is well-implemented, with iJOY’s angular design fitting the face and rear panel of the mod to a tee, blending effortlessly with the small but information-packed OLED display. More importantly, the companion tank/pod system is a seamless extension of the design concept, making for a smooth, understated look for those seeking some discretion in their vape products. And most important of all, the craftsmanship and machining are top-tier, front to back. This is a quality device, and the look and feel reinforces this idea. You can’t help but love the ingenuity behind the Diamond VPC’s Unipod tank/pod hybrid system. While I’m not sure if this is the first time anyone’s attempted such a format, this is a pretty good launch point for any new vape seeking pod mod convenience and flexibility to move to something more advanced. But no matter which route you choose, the VPC functions like “that’s” the native format. My JUUL pods fit well, as did the standard coil setup. Either way, you’re treated to a flavorful, authentic mouth-to-lung vape experience. The stock tank is my preferred way to use the kit, mostly because of the 2mL juice capacity. But in a pinch, it’s great to know the pod adapter makes this the best way to enjoy a JUUL pod, as well. I should also mention the battery life, which is nothing short of extraordinary. Though I never had to use the mod above 18 watts, the 45-watt max output gives you plenty of headroom in case you want to try a different atomizer. Because of the low power requirements, the 1,400mAh internal cell gives users almost a full day of MTL vaping before having to plug in. 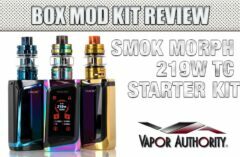 Though we usually mention this higher up in the review, one of the highlights of the Diamond VPC kit is how iJOY managed to squeeze its standard mod experience into a device smaller than a pack of gum. Even with a dwarfed footprint, the heft, firm, clicky buttons, clear OLED screen and surprisingly fast-ramping fires make for a potent little vape mod. Though the Diamond Bae mod is technically compatible with any atomizer fitting these specs, I HIGHLY recommend sticking with the versatile Unipod system. 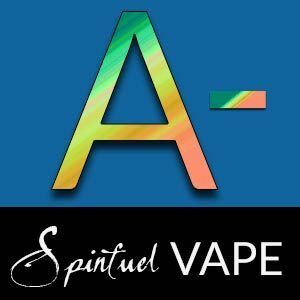 Not only does it give you plenty of versatility, but the included ceramic coil is still kicking hard, weeks after beginning my testing, with no loss of flavor or vapor quality. Plus, there’s always the pod mod format to fall back on for more flexibility when out and about. I didn’t have any concerns or complaints, save for one – the relatively wobbly 510 connection atop the mod. It didn’t present any problems during testing, but when pressure was applied, I noticed a little play and wobble, making me SLIGHTLY concerned about long-term durability. 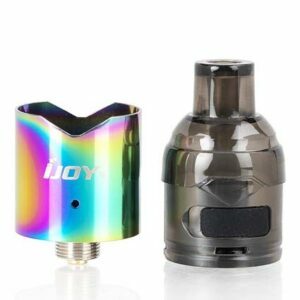 But that aside, iJOY has made a device worth considering for newcomers who want more options, without having to buy more than one vape kit. Yeah, the VPC is tiny and might get lost easily. But, if size isn’t a concern, and you’re into a versatile, multipurpose vape mod, then the iJOY Diamond VPC kit is a definite winner. Both using the tank and the pod setup made for some very impressive MTL vaping. Flavorful, robust and discreet, there’s an awful lot to like here. Strongly recommended. Next : Vaping Blamed for Teen Smoking – Say What?